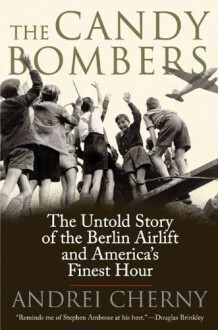 The Candy Bombers is the true tale of the ill- assorted group of castoffs and second-stringers who saved millions of desperate people from a dire threat. By feeding and supplying West Berlin by air for nearly a year, these brave men won the hearts of America's defeated enemies, and inspired people around the world to believe in America's fundamental goodness. Their valor and kind acts helped the country avoid World War III, and won the greatest battle of the Cold War-without firing a shot.